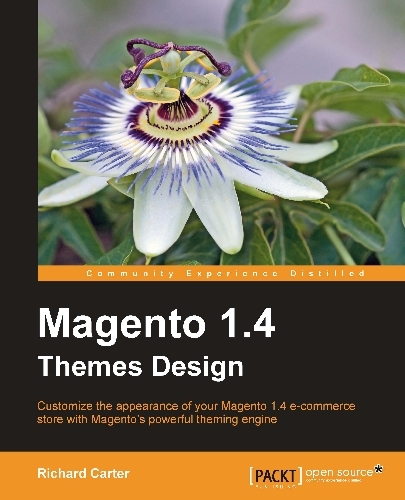 The guys from PacktPub gave me the chance to review the Magento 1.4 Theme Design eBook. Wrote by Richard Carter, this book was released last month (January 2011). Install and configure Magento 1.4 and learn the fundamental principles behind Magento themes. Customize the appearance of your Magento 1.4 e-commerce store with Magento's powerful theming engine by changing Magento templates, skin files and layout files. Change the basics of your Magento theme from the logo of your store to the color scheme of your theme. Integrate popular social media aspects such as Twitter and facebook into your Magento store. You can read the full table of contents here. I wouldn't be worried about it. Even it the new 1.5 has some new features, you will be able to learn and customize everything within the book. I had read this book and its best guide for magento theme. 4.789.675 post views so far. This page needed 42 queries to load.